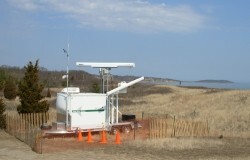 Wind turbines will be installed at wind-intensive sites that are frequented by birds. 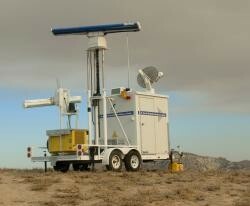 Withdrawing swarms can´t dodge the wind turbines - since a big part of bird migration takes place at night. Many dead birds are the result. 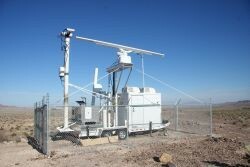 With high-resolution radar and advanced image analysis, birds can be detected automatically. 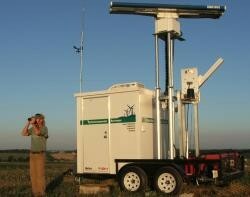 The software classifies the birds according to size and forecast the probability of an impact with the windmills. 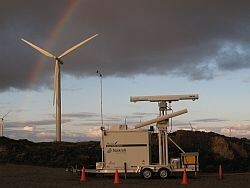 Achieve the probability parameter a certain value, the wind turbine is stopped. If the danger is over, the system runs automatically. DTBird® allows to register and reduce bird mortality through real-time actions, as warning and dissuasion of birds in collision risk, or wind turbine automatic Stop. 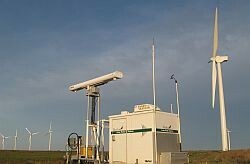 DTBird® opens a window to record and understand birds behaviour (flight features, patterns, relation with environmental variables), when and why birds fly close to the wind turbines, when and why they collide. DTBird® Online Data Analysis Platform, updated daily, provides transparent, independent, accurate, and not erasable data and videos of bird behaviour in the vicinity of the wind turbines. Data, videos and automatic reports are available for all users: ornithologist, wind energy producers, Environmental Agencies, etc. DTBird® is currently monitoring/protecting birds in France, Greece, Italy, Norway and Spain. Almost 50 wind turbines monitoring/protecting birds. 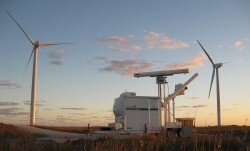 DTBird® has been integrated in wind turbines: Acciona, Vestas, Repower, Siemens, Leitwind and Made/Gamesa. DTBird® detectability has been tested by the Norwegian Institute of Nature Research: 86 – 96 % of all birds in a radius of 150 m to the wind turbine and 76 – 92 % in a radius of 300 m. NINA. Dec 2012. DTBird® overcomes widely radar capabilities, with much higher bird detectability and unique DTBird® features (Species identification, bird collision control, real-time actions, etc). DTBird® is recognized as one of the two "most complete systems by not only detecting actual collisions but also providing visual data for potential collision events". 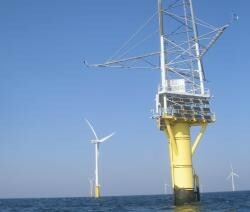 A review of methods to monitor collisions or micro-avoidance of birds with offshore wind turbines. Bureau Waardenburg bv, commissioned by: The Crown Estate, SOSS, through the BTO. February 2012-September 2011. Link. The rest of technologies included in the report cannot take actions to reduce bird mortality. DTBird® is recommended by SEO/BirdLife and included in the Guidelines of Environmental Impact Assessment of wind farms on birds and bats (Directrices para la evaluación del impacto ambiental de los parques eólicos en aves y murciélagos). SEO/Birdlife. January 2012. DTBird® has been included in the Methodological Guide for environmental analysis of projects in Natura 2000 Sites (Guía metodológica para el análisis de proyectos y otras actuaciones en Natura 2000). Junta de Castilla y Leon (Spanish Regional Government). December 2011. DTBird® has been included in Good Practice Guidance and associated Toolkit. 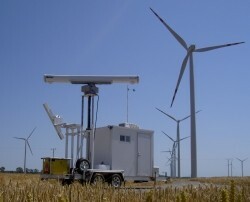 GP Wind project. June 2012.